A splash of color can set the stage nicely for an attention-grabbing message. 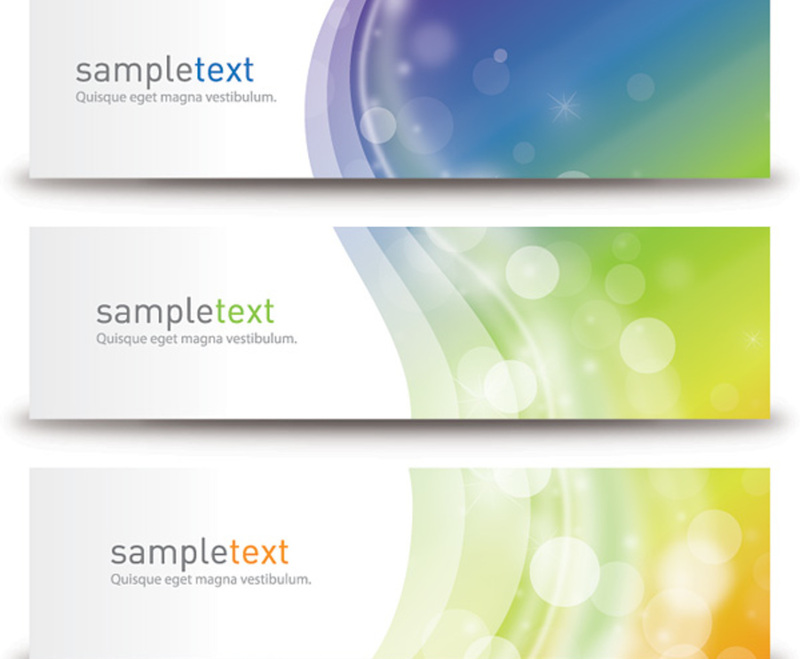 This set of three banners cleverly positions its text next to an engrossing wave of color. A graceful rainbow covers the right side of the banners, fading gradually from indigo to orange. The blast of color seems backlit thanks to some sparkles and lens flare. Meanwhile, the text on the left side of the image references the dominant color of each of the banners. The sans serif font helps the neat, clean look, and it's an excellent way to present information to your audience.